From the hands of a man who once poached turtles, we bring you unique limited edition, museum quality turtles sculptures that are serving as catalysts for change, youth leadership, job creation and environmental education. This is the essence of the award-winning Makotikoti Arts Project (The MAP) established with the assistance of the Andries Botha Foundation. 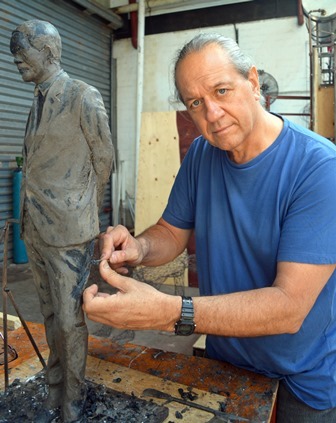 Art is not just about creating, but also educating and reaffirming human values. When combined with a mission to protect the earth’s natural resources, create jobs, empower youth and educate, the outcome is bound to capture the world’s imagination. Winner of a prestigious M&G Greening the Future Award last year, the Makotikoti Arts Project (The MAP) has featured at the Durban UIA2014 World Architecture Conference, the Durban Sustainable Living Festival and has now found a home within an urban regeneration precinct, Rivertown, in Durban. The MAP’s educational outreach programme was launched at the 2014 Durban Sustainable Living Exhibition. Read article: DUT student is doing it for marine conservation . More than 187 primary school kids from 25 schools throughout KZN took part in the first Works on Paper competition. The first Works on Paper Awards are to be presented by former Ezemvelo KZN CEO, Dr George Hughes in April 2015. The ten shortlisted finalists will all offered the opportunity to enrol for training as Young Eco-Ambassadors, participating in a host of exciting educational opportunities and excursions. From turtle butcher to turtle sculptor, this is the story of Makotikoti Zikhali, who was sentenced to five years in jail for killing an endangered loggerhead turtle in the iSimangaliso Wetland Park – a World Heritage site. A Roving Reporters investigation revealed that Makotikoti had killed the turtle to sell its meat as food and its fats for muthi. After meeting Makotikoti in prison, Roving Reporters director, Fred Kockott, was convinced that ‘The Turtle Butcher’ case, as it was dubbed in the press, could be used not only to promote environmental education but also offer the convicted turtle poacher the means to earn a better living by writing his life story and developing associated artistic skills. 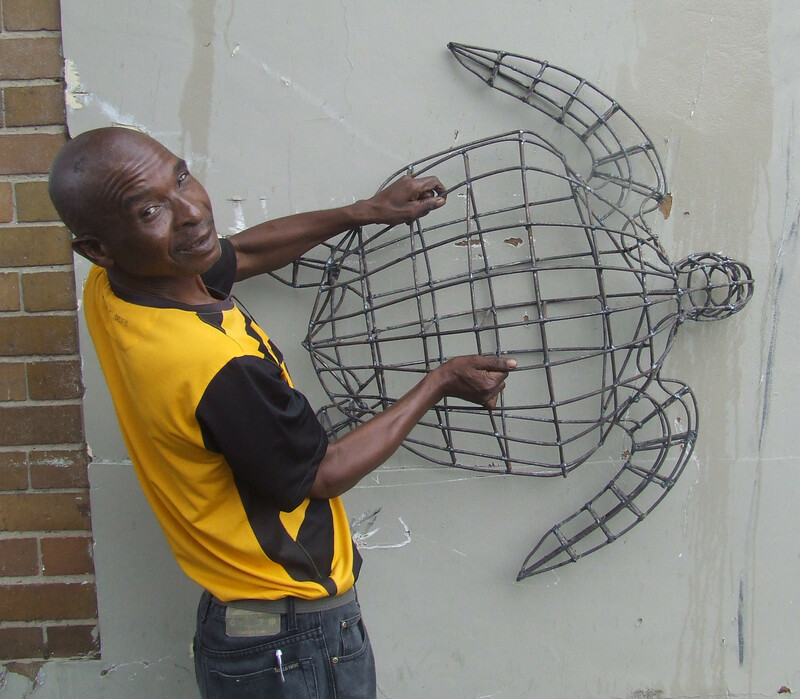 In support of the initiative, Andries made his studio available, offering to train Makotikoti at no cost to make museum-quality turtle sculptures on condition that proceeds of sale be used to promote turtle conservation and environmental education. Following a year’s intensive mentoring the first edition of limited Makotikoti turtle sculptures entered the market in 2013, attracting buyers from as far afield as Denmark, Canada, Brussels and Germany, Brazil and France. On The MAP website you will be able to read about the start of The MAP’s educational outreach programme and associated youth leadership training. Makotikoti accompanies children from a transit camp to an educational outing to uShaka Sea World arranged by Durban University of Technology students undergoing training with Roving Reporters.